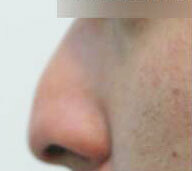 Revision rhinoplasty is a complex surgery, because each surgeon performs rhinoplasty using their preferred technique. This leaves the internal condition of each patient’s nose very different, thus making the revision rhinoplasty more complicated. In addition, patients’ ear and nasal cartilages could have been utilized during the previous surgeries. In that case, the amount of cartilages remaining for the surgery might not be enough, or the nasal cartilages may have weakened after the first surgery. 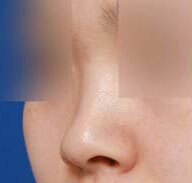 Examples are infections after rhinoplasty, implant extrusions, and implant visibility through skin. In case of infection after the surgery, the infection is first treated with antibiotics. However, if the infection treatment fails, then revision rhinoplasty is required to remove the implant and replace with another once infection is completely treated. If overly excessive augmentation was applied during the prior rhinoplasty, this may cause the nasal skin thinning and implant visibility or extrusion. 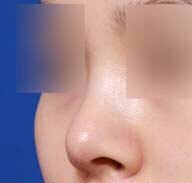 In such cases revision rhinoplasty is required. Theses include implant deviation, nasal tip drooping, severe asymmetry, low-sitting dorsum, or capsular contracture. Before revision rhinoplasty, it is important to assess the availability of ear and nose cartilages, scar healing, and infection clearance. 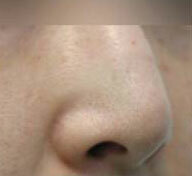 In average, it is recommended to wait for 6 months before undergoing revision rhinoplasty. Revision rhinoplasty is complex in that previous implants have to be removed, the nasal tip has to be modified (either strengthen or reposition), and tip-plasty has to be performed. Thus, the surgery requires advanced skills, abundant experience and in-depth knowledge. 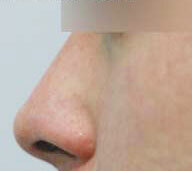 Dream Medical Group and Dr. Kenneth Kim have abundant experience with revision rhinoplasty, and we are confident in our advanced surgical techniques. If you are considering revision rhinoplasty, it is important that you come into our office and have an examination by Dr. Kenneth Kim. Dr. Kim will be able to explain your condition, his revision plan, and the desired goal. The duration of the surgery is different for each patient. Surgery is performed under oral sedatives and local anesthesia and the pain during surgery is minimal. Each patient will have different degrees of swelling right after the surgery, but the swelling is most severe on first two days of the surgery. We recommend that a patient sleep with head at higher position using extra pillows in order to reduce swelling more quickly. The patient has to come in 1-2 days after the surgery for operative site cleansing. 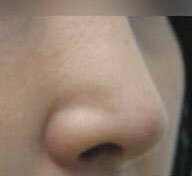 Our nurses will also teach you how to cleanse your nose and care for operative sites at home.